The Mentoring Department is an integral part of Pure’s work with young people. There are a number of specific mentoring programmes that Pure run, in both group and one-to-one formats. Each programme encourages the students to find the space to address and talk about the particular issue that course addresses, as well as any other struggles that they might be facing. Most programmes runs once a week, ranging in duration from eight weeks to an entire school year. Pure Freedom is a professional health programme aimed at supporting (at present) young women who are struggling with disordered eating and/or self-harming behaviours. It is not a counselling course, but an additional resource that helps it’s members to find more positive coping mechanisms and improve their self-image and help them understand their value. More detailed information is available here. 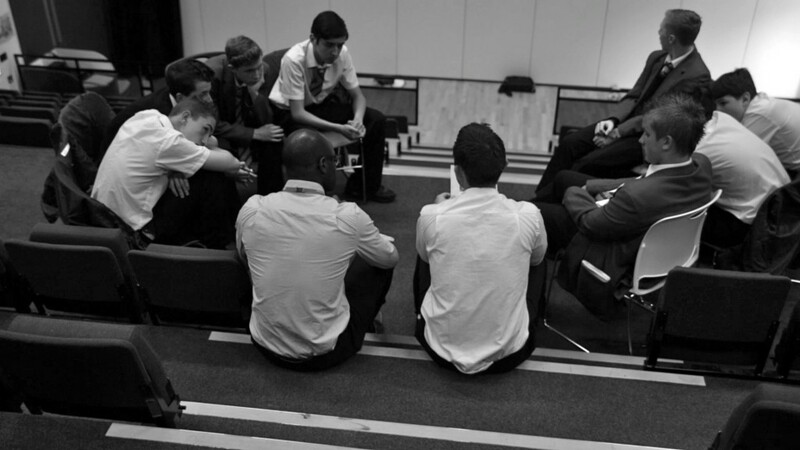 Courageous is a mentoring programme for boys and young men, looking specifically at male identity. Through a combination of teamwork activities, interactive discussions and multimedia presentations, the aim is to help the course members see the value of positive models of masculinity. We look at how they apply to many different areas of life, including ‘relating to authority’, ‘relating to women’, ‘controlling your emotions’, ‘overcoming setbacks’ and ‘making plans for the future’. More information available here. Impact Groups run for a shorter time each week, designed to fit within a form time or assembly slot of around 25-30 minutes. They can run weekly or fortnightly for the duration of a school year, and help students think through various issues, including drug & alcohol education, relationship education, exam preparation and career planning. Pure like to be able to liase with the teachers on the particular issues raised within sessions to ensure that material that is covered is followed up properly and that teachers are aware of what is going on. This is normally done with the school’s Safeguarding officer.